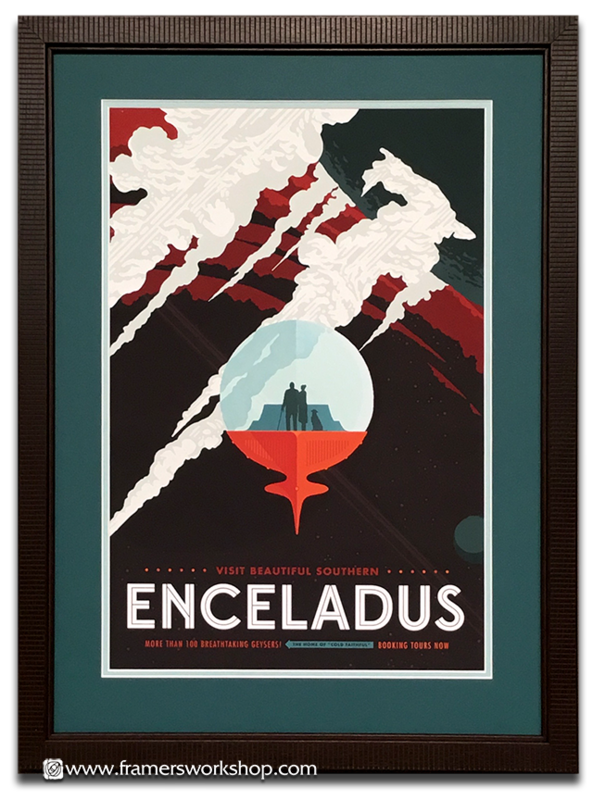 The Framer's Workshop, Berkeley CA: Framed ENCELADUS NASA/JPL poster. Part of the NASA/JPL "Visions of the Future" print-on-demand poster series, we double matted the poster and set it in a textured wood frame. Available in our shop only, $175.